During the Masonic Year of 1952, the office of Grand Master of Masons in Texas was ably filled by Gibb Gilchrist, who was born at Wills Point, Texas, on December 23, 1887, the youngest of eight children born to Angus Jackson Gilchrist and Kate Douglass Gilchrist. He finished high school at Wills Point and then entered Southwestern University at Georgetown, where he studied for one year before attending the University of Texas, from which he graduated with the degree of Civil Engineer in 1909. After graduation from the university, Gibb Gilchrist started at the bottom of the engineering ladder as a surveyor’s chainman for the Gulf, Colorado and Santa Fe Railroad. Eight years later he was a special assistant to the chief engineer of the line. During World War I he was with the Army Corps of Engineers, returning from France in 1919 as a captain. He then joined the State Highway Department, as a resident engineer, and rose to the position of State Highway Engineer, in 1924. A year later he entered private practice with a firm of consulting engineers in Dallas, where he remained until 1927. In 1928 he was again named State Highway Engineer of Texas, in which capacity he served until 1937. Under his administration, the Texas Highway system saw great growth and advancement. Recognition of his outstanding service in this capacity came when he was elected President of the American Association of Highway Officials, in 1935. He has also served as a member of the Special Committee on Design Practices of the Association, Chairman of the Engineering Committee of the’ Governor’s Highway Safety Conference and Chairman of the Executive Committee of the Highway Division of the American Society of Civil Engineers. Since its inauguration he has served as Chairman of the Advisory Group on Engineering of the President’s Highway Safety Conference. Major wartime posts to which he has been appointed include Chairman of the Texas Postwar Economic Planning Commission, member of the U. S. Office of Education, National Advisory Committee on Engineering, Science and Management War Training,, and member of the Naval Advisory Educational Council. 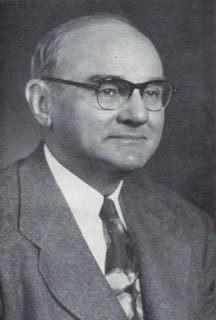 In 1937 Brother Gibb Gilchrist accepted the position of Dean of Engineering at the A. & M. College of Texas, and in May, 1944, was appointed President of the College. In 1948, when the Texas A. & M. College System, was formed he was named as its first administrative head, with the title of Chancellor, which position he holds today. (This System comprises the Agricultural and Mechanical College of Texas, Arlington State College, Tarleton State College, Prairie View Agricultural and Mechanical College, Texas Agricultural Experiment Station, Texas Agricultural Extension Service, Texas Forest Service, Texas Engineering Experiment Station and the Texas Engineering Extension Service.) Under his capable leadership, and through his alertness to the problems that need to be solved, the Texas A. & M. College System has made great strides in its ever-increasing service to the people of Texas. Brother Gibb Gilchrist has been awarded honorary degrees by Austin College, in 1939, (D.Sc. ); Baylor University, in 1946, (L.LD. ); and Southwestern University, in 1946, (L.LD.). 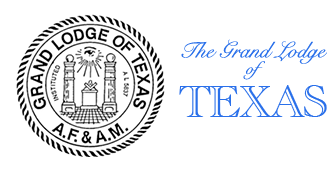 He holds membership in the American Society of Civil Engineers, Society for the Promotion of Engineering Education, Texas Society for Professional Engineers, Texas State Historical Association, Philosophical Society of Texas, Tau Beta Pi, and the Newcomen Society. Upon his return from war service in France, Gibb Gilchrist was married, in 1920, to Vesta Weaver, Cumby, Texas. They have one son, Henry, a graduate of both the A. & M. College of Texas and of Texas University, and who is a practicing lawyer in Dallas. The Grand Master is a man of close family ties, strong and enduring friendships, and decided beliefs. His careers in engineering, education and public service have been marked by drive, determination and unalterable integrity. He is an ardent Texan, and large portraits of Robert E. Lee, Sam Houston, Governor Richard Coke and Lawrence Sulliyan Ross are the principal decorations of his office. The Grand Master is of Scottish descent. The name “Gilchrist” means “Servant of Christ.” He is deeply religious and enjoys nothing more than an old-fashioned gathering, where the Hymnal is a prerequisite and a couple of hours are devoted to the singing of familiar hymns. He joined the Methodist Church in 1896 and has long been an active lay worker in his church. Brother Gibb Gilchrist was made a Master Mason in Tucker Lodge No. 297, Galveston, Texas, on May 5, 1916. Notwithstanding the heavy demands upon his time and energy, he found opportunities for study in Masonry and has held a Certificate for Proficiency for several years. In 1946 he participated actively in the movement for the establishment of a Masonic Lodge on the campus of the A. & M. College. 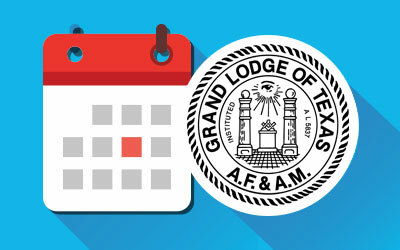 Authorization was received in 1947 for such a Lodge to work under dispensation, and a charter was granted in December at the Annual Communication to Sul Ross Lodge No. 1300. Gibb Gilchrist served as Worshipful Master of the U. D. Lodge and as first Worshipful Master of the chartered Lodge. The Grand Master received his York Rite Degrees in Bryan, Texas. He is a member of W. ‘1 Austin Chapter No. 87, R. A. M.; W. T. Austin Council No. 52, R. & S. M., and Ivanhoe Commandery No. 8, K. T. He is also a member of the Galveston Consistory of the Ancient and Accepted Scottish Rite of Freemasonry; a member of Karem Temple, A. A. O. N. M. S. of Waco, and a member of San Jacinto Conclave No. 93, Order of the Red Cross of Constantine, at Houston, Texas. 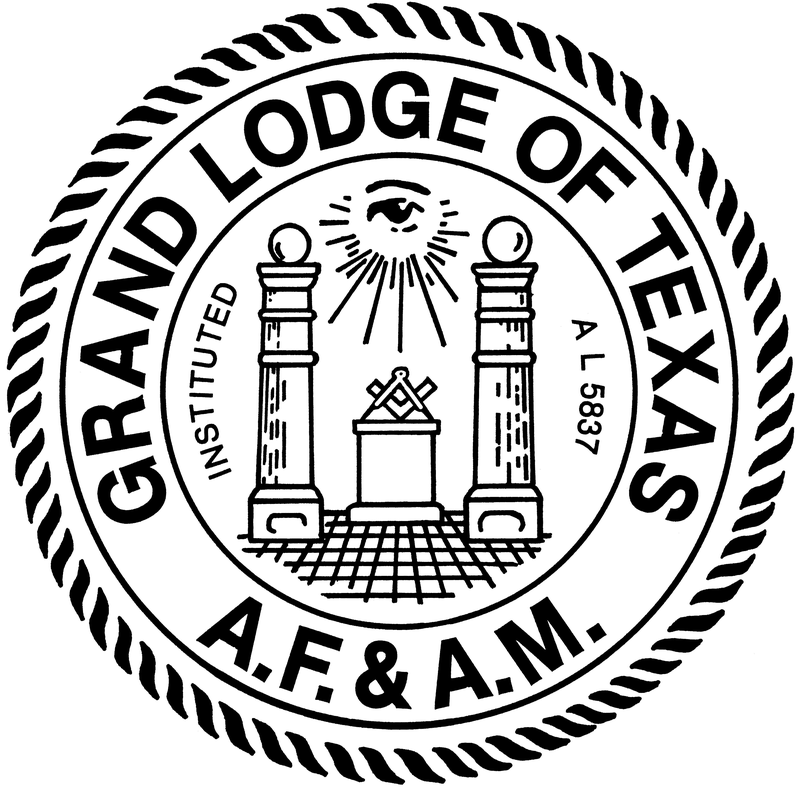 In the Grand Lodge he has served as Grand Representative of the Grand Lodge of Puerto Rico near the Grand Lodge of Texas, and at this time similarly represents the Grand Lodge. He was appointed Grand Orator in December, 1948; in 1949 he was elected Grand Junior Warden and advanced to Grand Senior Warden in 1950. Due to the untimely passing of Brother Henry M. Bell, Deputy Grand Master, Brother Gibb Gilchrist was elected and installed as Grand Master on December 6, 1951.